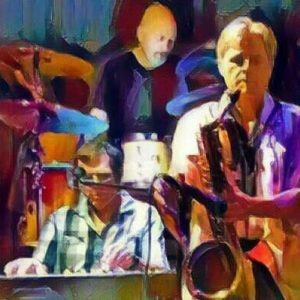 Zendetta is a Western North Carolina jazz trio that plays everything from standards to trance-influenced beats. We exhibit various influences in a push and pull of style and content, always laying it all out there. Hammond B3 Organ master Jim Peterman is on keyboards, Vinny Corda plays Flute, Baritone and Alto Saxes, and Marco Noto handles the drum kit and whatever else he can get his hands on. The Stage Door Series is TFAC’s newest series, with patrons seated onstage with the artists for a unique perspective on concerts, theater, spoken word events, and more. Seating is limited, so reservations are strongly encouraged. Admission is $5. Beer, wine, and other concessions will be available.